Hirohito was born on April 29th 1901 in the Aoyama Palace in Tokyo, Japan. He was the first son of Emperor Taisho and Empress Teimei. 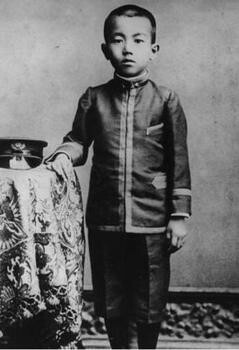 As a child, Hirohito was separated from his parents (which was a custom), and was given a royal education. 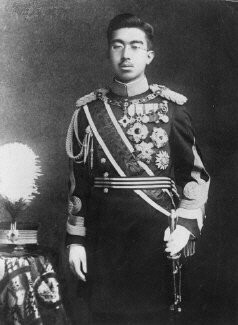 Hirohito was taught at Gakushuin School and he then went to attend an institute that specially conditioned him to become the emperor. Hirohito officially became crown prince on November 2nd 1916. After becoming crown prince, he then went to study abroad in Europe. His main focus of study was shockingly Marine Biology. On January 26th 1924 Hirohito married his distant cousin of royal blood, her name was Princess Nagako (Empress Nagako). On Christmas Day in 1926, Hirohito was crowned Emperor due to the death of his father. 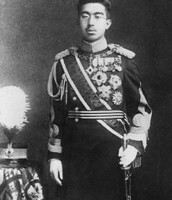 Hirohito was given the name Showa as it meant Enlightened Peace. He was formerly known as Emperor Showa Tenno. When Hirohito began his reign, Japan was in the mists of a financial crisis. The military held veto power over the cabinets of legislature. During his reign, Hirohito barely missed an assassination by a hand grenade. This assassination was planned and acted out by Korean Activist, Lee Bong-chang. 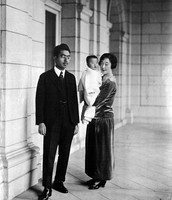 The infant in this picture is his eldest child, Princess Shigeko. 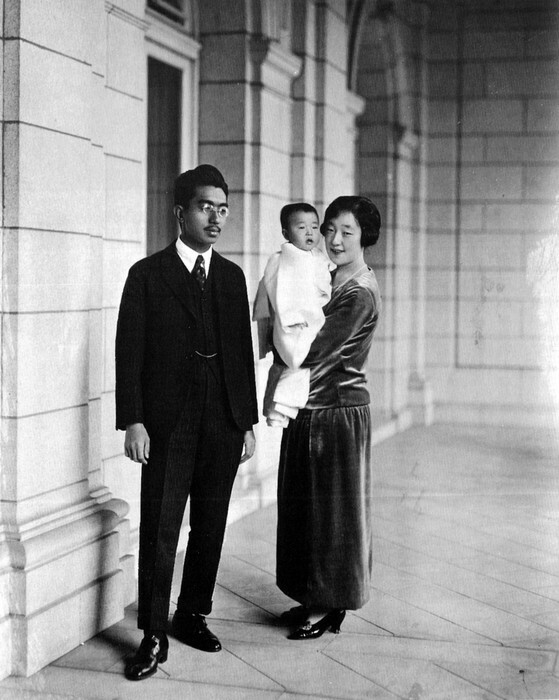 This is Hirohito, his wife and his eldest son and his wife. Hirohito's basic uniform to wear to important meetings and checking on his armies. Why was Hirohito an important part of WWII? During WWII, Japan attacked all of their neighboring countries and allied with Nazi Germany and surprise attacked US Naval Base at Pearl Harbor. Hirohito and his army dropped fleas infected with Bubonic Plague into China. To this day, Japan and Russia have not signed a peace treaty to end WWII due to the Kuril Islands dispute. During WWII, Japan took in Jewish refugees and rejected the thoughts of Nazi Germany. 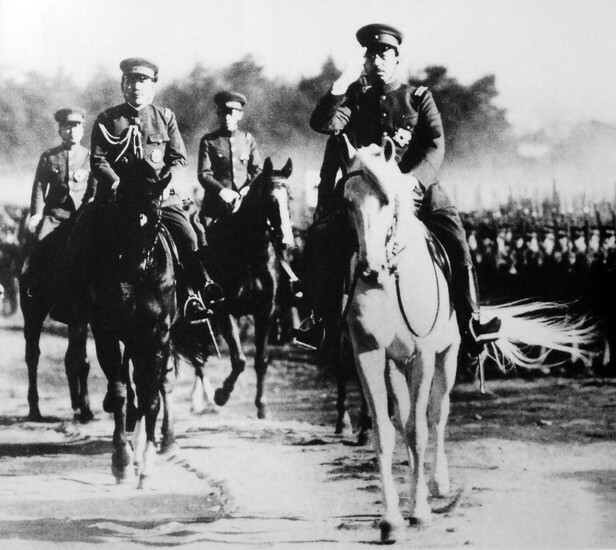 Hirohito claimed to be powerless and had no control or active power during the war. After the surrender in 1945, he became a puppet with no power. Until his death, Hirohito remained as an active figure in Japan, even though his dignity was shattered after WWII. Hirohito was one of the many people who were focused on rebuilding Japan's image to the rest of the world. In his free time, he dedicated himself to studying more about his love, marine biology. While studying, he gained enough knowledge and wrote several books about marine biology. 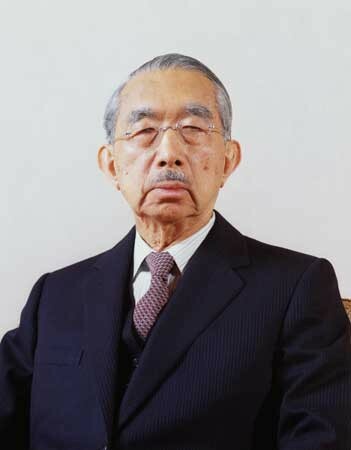 On January 7th 1989, Hirohito died of cancer in his birth place. 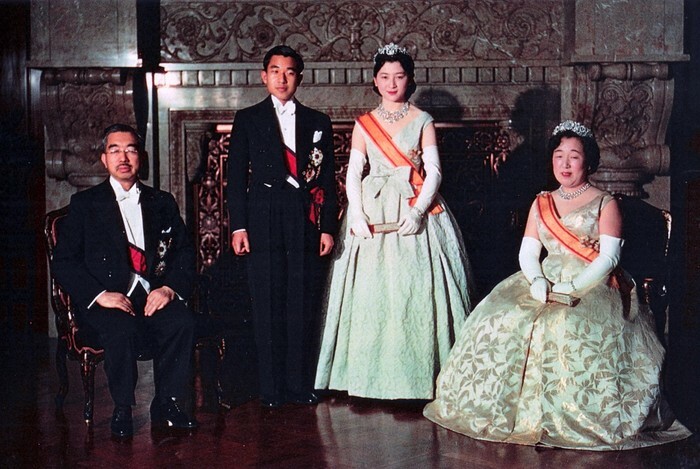 His son Akihito succeeded him on the throne with his wife Empress Michiko.